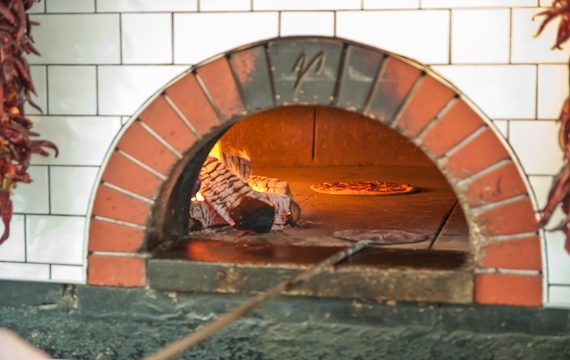 Having a wood-fired oven in a restaurant, café or other eatery is a sure-fire way to increase your table bookings, footfall and profitability, with British diners craving wood-fired pizza and the ambience and aromas that a wood oven brings. But, there’s a but. Restaurants can get it very wrong when buying their wood-fired oven … and pay the price in more than one way. To help you get your wood-fired oven purchase right, we’ve created the following checklist for you. 1) Size and weight. Many commercial wood-fired pizza ovens come as one massive piece of kit. You may not be able to manoeuvre such an oven through doors and tight spaces, without altering your property. Valoriani wood ovens, on the other hand, can be assembled in situ, with parts carried through any standard door. 2) Regulations. Wood-fired ovens require DEFRA certification for operation in a smoke-controlled zone. Check that what you are buying has DEFRA certification (for your particular oven) and ask to see that. If you fall foul of the regulations, you could incur DEFRA testing, which costs around £10,000 on site, as well as a week of downtime for your oven, which will lead to lost revenue as well. Regulations are likely to tighten, so be prepared! 3) Dual Fuel. Some pizza ovens use a dual fuel source of gas and wood, but the regulations on the legality of this are very unclear. Any fire, or carbon monoxide poisoning that occurs due to inadequate flue systems, could invalidate a commercial insurance policy and potentially be deemed a breach of health and safety law, given the lack of clarity in the regulations. Many commercial wood-fired ovens are poorly built and regularly need e new oven floors fitted. In many, the oven floor cannot simply be replaced as a part, rendering the whole oven redundant. A Valoriani oven rarely needs to have its floor replaced but, if this is necessary, this can be done through the mouth of the oven and only the damaged area needs to be removed and replaced. Some wood-fired ovens try to replicate the renowned heat retention and heat distribution properties of Valoriani’s unique ‘cotto’ clay, by creating an oven dome containing metal/micro-mesh embedded into clay. This fabric can disintegrate relatively quickly (as your school science knowledge of expansion and contraction might predict!) creating food safety issues. Bits of metal falling into food is not what you want to be serving up from your wood oven! 6) Insulation. To cut costs, various wood-fired ovens are un-insulated. That means they have a dangerously hot exterior shell that can injure chefs and other kitchen staff. In others, the insulation used is not safely encased, which can create dust particles on food. 7) Testing. Many of the wood-fired ovens flooding the market have had no tests run on them and have no heritage or certification to back up their performance claims. Check the credentials of the oven you are being sold and ask to see the certification. Is it from a credible and respected body? DEFRA, Food Safety testing and certification and GasSafe and HETAS certification, plus CE marking, are all things to look for. 8) Energy Efficiency. A prospective buyer should always question how much fuel their wood oven will use, how long it will stay warm without requiring reheating and how well it retains heat. A Valoriani oven retains heat, even after the fire is extinguished at close of service in the evening, in such a way that it’s still warm the following morning. 9) After-sales Support. Buying an oven without any assurance about the after-sales support available is very risky in a market in which so many poor wood ovens are being touted around. Valoriani has been trading since 1890 and has a global reputation to protect. It’s not one of those wood oven manufacturers or importers that will be selling here today, and gone tomorrow! 10) Product Training. Don’t buy an oven unless you know you can be trained in its use. Spending a little time learning how to get the best from your oven is vital. It can help maximise your energy efficiency, create better menus and prevent you damaging components. Cheap, out-of-the-box pizza ovens often come with no training, as the sellers don’t have any knowledge to impart. Valoriani has its own state-of-the-art training centre in Preston, at which chefs can get full training and take advantage of a try-before-you-buy session. There are serious pitfalls to avoid when buying a wood-fired pizza oven, but if you choose wisely, you should have an oven that will last you decades, rather than 18 months. Remember the saying ‘you get what you pay for’ and you should avoid being caught out!